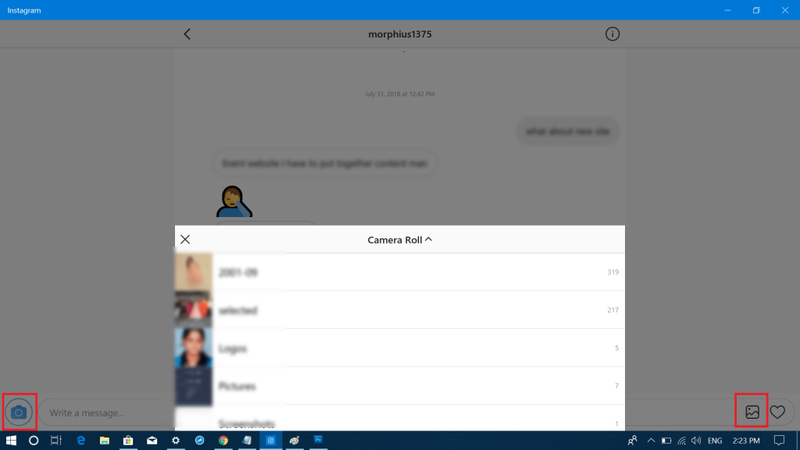 Looking for a way on how to send a direct message on Instagram from Windows 10 PC? The following blog post will guide you quick steps. Instagram is a famous photo & video sharing service. You can follow your loved ones and keep yourself updated with their whereabouts. You can also reply to messages from the people you follow or send them a direct message. Instagram app is generally used by the people on their Android and iOS device. But there are users, who spent most of the time staring at a computer or laptop screen and would like to use Instagram right from the browser just like social networking sites like Facebook. You can’t reply to messages received from the friends. You can’t upload photos and videos. Maybe, the company will introduce all these functionalities in the upcoming months or years. 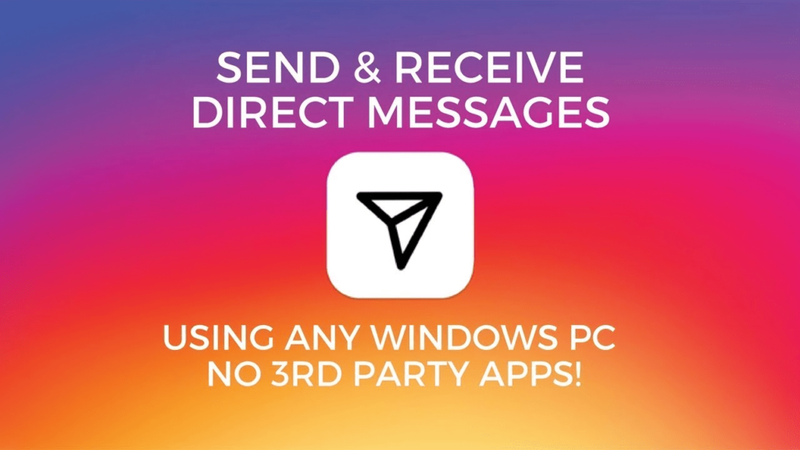 In the meantime, there is the solution that let users send a direct message on Instagram from the computer. Guess what? The users running Windows 10 operating system can download the Instagram official app from Microsoft Store. Fortunately, the app offers the functionality using which users can reply and send a direct message on Instagram. 1. Launch Microsoft Store app in Windows 10. It is available on the taskbar at the bottom. 2. Here, search Instagram app using the search bear available at upper right corner. 3. Download and Install the Instagram app on your computer. 5. Login to the app using your account credentials. 6. Next, you need to click on the Direct Message (DM) icon available at upper right corner. This will take you Direct message screen; here you will get a list of the messages you have received from the friends. 7. Here, you need to click on the chat tab of the friend whose reply you want to give. This will open the chat window for that particular friend. In the space provided at the bottom of the screen, type the message and click on the Send button available at the right side. You can also send photos and videos as a reply. For that, you need to click on the Gallery icon. This will open the browser window, select the photo and video and send it. In case, you’re running Windows 10 on a laptop having a webcam, then you can also capture the photo & video and share it as a reply. Use the Capture icon is available at the bottom left side. 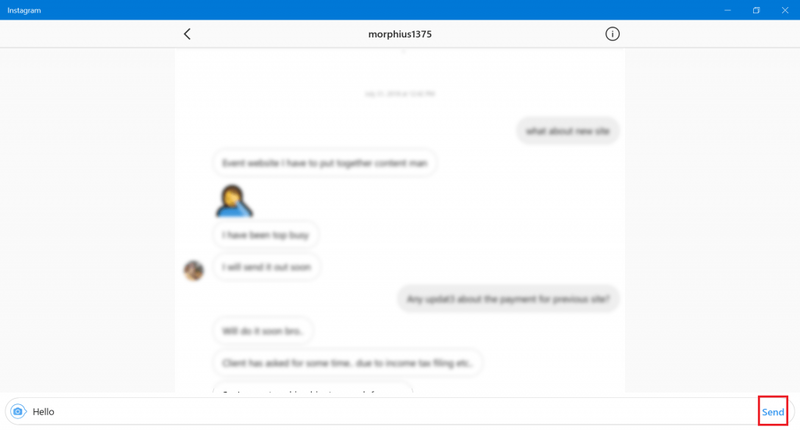 I hope you find my this blog post on how to send a direct message on Instagram from Windows 10 PC useful? 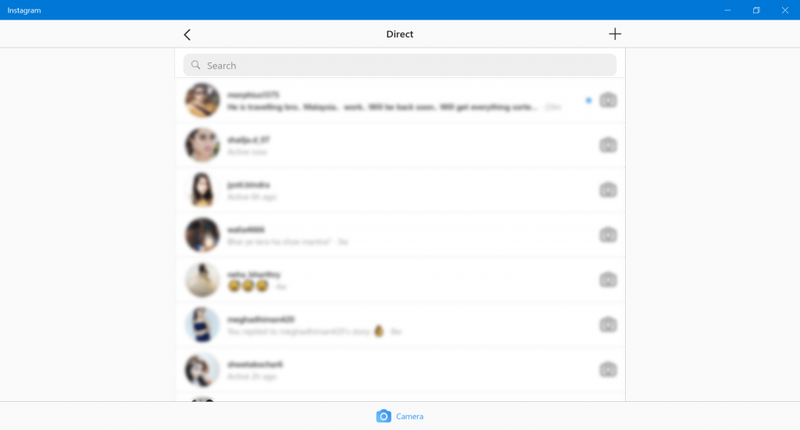 If you’re familiar with another handy workaround to direct message on Instagram? Feel free to share it in the comments.